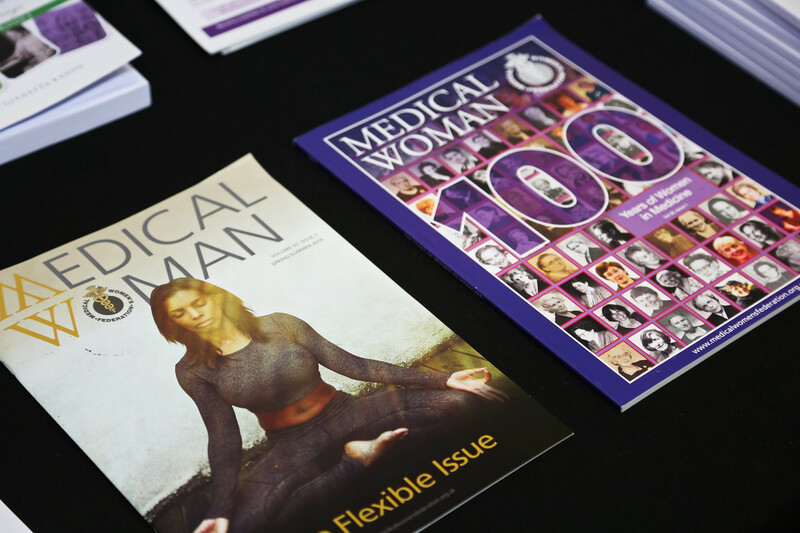 The MWF is an organisation run by women doctors and medical students many of whom freely give up their time to try to help other women in the profession. A significant proportion of our members are SAS doctors. At present SAS grades make up about 13,000 staff according to NHSE but it is likely there are many more in non-standard grades. The latest surveys show that almost 50% are women. Many women choose a SAS post because it provides them with a predictable permanent position around which they can base their family life. What can MWF do for SAS doctors? MWF holds meetings locally and nationally at which women doctors are able to network and discuss issues of mutual interest. The national meetings are also educationally worthwhile, with CPD points available. (See meetings tab for further details). We campaign on issues relevant to women SAS doctors. MWF has in a large part been responsible for the introduction of Less than Full time training (LTFTT). MWF provides general information relevant to all doctors and also more specific information e.g. regarding maternity rights /leave/ pay (see Maternity page on this web-site). Joining the MWF will give you access to advice and information from women doctors who know what is going on at the coalface (see also mentoring page on this web-site). There is now funding available for SAS career development in England, Scotland and Wales. In England the funding previously came from Strategic Health Authority to the Deaneries and many Deaneries devolved it down to Trusts on a per capita basis. It is hoped that the new Local Education and Training Boards will continue this funding. Many Trusts have appointed a SAS Tutor who will utilise the funding based on the learning needs of their SAS staff. Most is being used for generic non-clinical training courses, such as teaching skills, appraisal, job planning, communications skills, leadership training etc. Some of the rest is being utilised to support individual SAS grades, and examples of use include reimbursing fees for specific post graduate certificates / diplomas or for locum backfill to enable short term secondments to gain experience which may be useful locally or for Certificates of Eligibility for Specialist Registration (CESR) applications. We would therefore recommend finding out who is the SAS tutor is in your trust and thereby find out how this money is being spent in your local area. It is likely there are free courses available to you. This was formerly known by shorthand of Article14, as that was the section in PMETB regulations pertaining to this certificate. Now that responsibility for CESR has moved to the GMC, it should be called a CESR application. Modernising Medical Careers recognised several years ago that the conventional medical training programmes limited entry for those with previous training and experience gained elsewhere. The CESR route created as an incentive for those outside the conventional training programmes to gain accreditation of their training and experience, while at the same time avoiding wasteful duplication of training. CESR works by accrediting the training found to be equivalent to that of UK CCT standards. This can be from training, qualifications and experience gained from within the UK and /or abroad. The applicant needs to prove that they have gained the required training as well as being up to date with their knowledge and skills. Detailed clear parameters regarding this are set out on the GMC website and the individual Royal College websites. These sources provide a wealth of comprehensive information on the application process, the standard for accreditation and the evidence required. The successful applicant would establish in a clear, objective and systematic manner that the breadth and depth of their knowledge and skills meets the standards required of a consultant fit to practice in the UK. Evidence demonstrating participation in audits, research, 360 appraisal, sub-specialty experience, teaching, management initiatives and robust CPD profile all add weight to the application. Those maintaining a comprehensive appraisal folder would have a head start in the process. This also provides a valuable means to make up any perceived deficits in your portfolio with the support of the department you work in. It also minimises the loss of time in obtaining evidence in retrospect from previous posts. Embarking on this route is a major undertaking and a clear roadmap and timetable is likely to maximise the chances of success at the first attempt. It is very important that you do not submit your application prematurely. The biggest single reason why applications fail is because they are incomplete; perhaps because the applicant has not submitted sufficient or appropriate evidence to demonstrate that they meet CESR criteria. It is therefore much quicker (and cheaper) to take the time to gather all your evidence before you submit your application than it is to submit an incomplete application and be unsuccessful. For advice on job planning we would recommend contacting the BMA. The BMA and NHS Employers have agreed joint guidance on SAS job planning which is available here. Guidance on appraisals for SAS doctors, including the purpose, process and documentation required for an appraisal and 360 appraisals can be found here. The BMA are producing some guidance for SAS members on evidence required for appraisal, which will be available on the website. The BMA has developed a very useful online Handbook for members who are SAS doctors, which is full of useful tips and advice. (Members log in required) Click here to access.